Verifone (NYSE:PAY) announced today that Heron Foods, a family-owned ambient, frozen and chilled food retailer in northern England, will deploy Payment as a Service from Verifone. The platform is certified by the PCI Security Standards Council (SSC) as an approved Point-to-Point Encryption (P2PE) solution and will enable Heron Foods to bolster payment security, reduce payment authentication times and accept NFC-based payments at all of its 248 stores. P2PE certification of Verifone’s platform was based on 888 rigorous standards required by the PCI SSC across 6 domains. Heron Foods is continuing to expand beyond its base in Hull by opening stores across Northern England and the Midlands. Using Payment as a Service from Verifone, Heron Foods will be able to provide faster authorization and shorter queue times for customers. 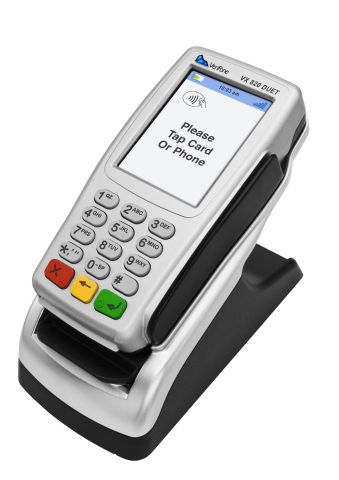 And, the VX 820 – Verifone’s PIN Transaction Security (PTS) 3.0 compliant and fully contactless/NFC-enabled payment terminal – will enable Heron Foods to accept a variety of payment methods – including Apple Pay – and future-proof its payment infrastructure as the company grows. Heron Foods will also be able to access Verifone’s Value Added Services (VAS) to drive sales and improve customer loyalty. Heron Foods can leverage VAS capabilities to engage customers with targeted promotions and branded messages that are displayed on terminal screens during checkout. To learn more about Verifone’s Payments as a Service and NFC-enabled terminal solutions, visit Verifone (Stand 450) at RBTE 2015 (Retail Business Technology Expo). This press release includes certain forward-looking statements within the meaning of the Private Securities Litigation Reform Act of 1995. These statements are based on management’s current expectations or beliefs and on currently available competitive, financial and economic data and are subject to uncertainty and changes in circumstances. Actual results may vary materially from those expressed or implied by the forward-looking statements herein due to changes in economic, business, competitive, technological and/or regulatory factors, and other risks and uncertainties affecting the operation of the business of VeriFone Systems, Inc., including many factors beyond our control. These risks and uncertainties include, but are not limited to, those associated with: successful rollout of our payment as a service solution with Heron Foods, market acceptance of our product and services offerings, execution of our strategic plan and business initiatives and whether the expected benefits of our plan and initiatives are achieved, short product cycles and rapidly changing technologies, our ability to maintain competitive leadership position with respect to our payment solution offerings, our assumptions, judgments and estimates regarding the impact on our business of the continued uncertainty in the global economic environment and financial markets, our ability to successfully integrate acquired businesses into our business and operations, our ability to protect against fraud, the status of our relationship with and condition of third parties such as our contract manufacturers, distributors and key suppliers upon whom we rely in the conduct of our business, our dependence on a limited number of customers, the conduct of our business and operations internationally, our ability to effectively hedge our exposure to foreign currency exchange rate fluctuations, and our dependence on a limited number of key employees. For a further list and description of the risks and uncertainties affecting the operations of our business, see our filings with the Securities and Exchange Commission, including our annual report on Form 10-K and our quarterly reports on Form 10-Q. The forward-looking statements speak only as of the date such statements are made. Verifone is under no obligation to, and expressly disclaims any obligation to, update or alter its forward-looking statements, whether as a result of new information, future events, changes in assumptions or otherwise. Heron Foods is a family owned discount food retailer based in the East Riding area of Yorkshire, dedicated to bringing customers the very best value in frozen, chilled and grocery products. The company runs from a 270,000sqft purpose built facility in Melton, East Yorkshire. Heron Foods operates 240 stores in the North of England and the Midlands and employs over 3,000 people. In 2012, Heron Foods acquired 54 Cooltrader Stores from Iceland. Heron Foods was ranked 11th by turnover in The Grocer magazines survey of the Top 50 independent grocery retailers (The Grocer 15 March 2014). Heron Foods was ranked 155th in The Sunday Times Top Track 250 (The Sunday Times 12 October 2014). Verifone is transforming everyday transactions into opportunities for connected commerce. We’re connecting more than 27 million payment devices to the cloud – merging the online and in-store shopping experience and creating the next generation of digital engagement between merchants and consumers. We are built on a 30-year history of uncompromised security. Our people are known as trusted experts that work with our clients and partners, helping to solve their most complex payments challenges. We have clients and partners in more than 150 countries, including the world’s best-known retail brands, financial institutions and payment providers.